You all know my very favorite kdrama is the historical fantasy ‘Faith,’ but what about a different genre? 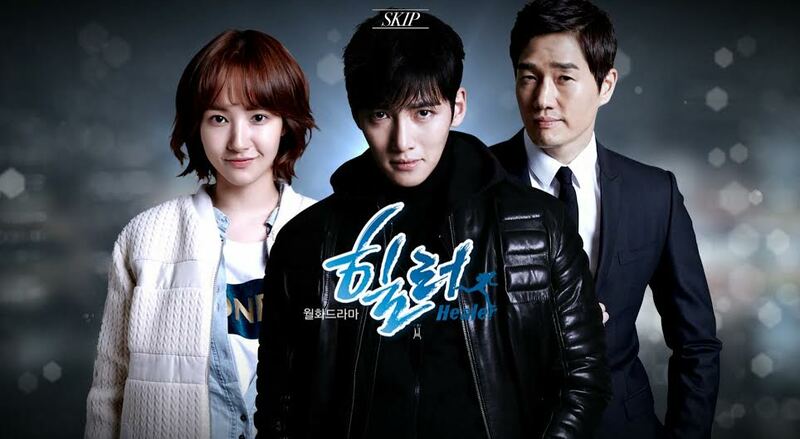 ‘Healer’ is modern, but it’s difficult to pin a genre to. 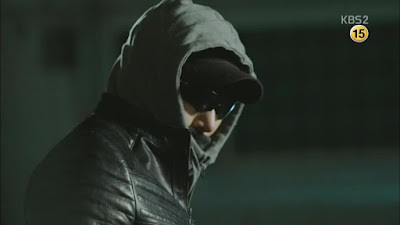 It follows night courier Jung Hoo, code name Healer, who runs ‘errands’ for anonymous clients. Everything from stealing to collecting samples – Healer (Ji Chang Wook, Empress Ki) does it all, for a price. 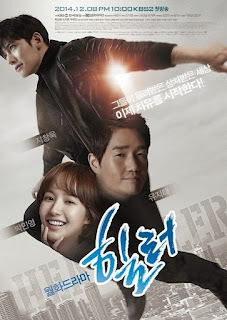 But when he’s asked to collect information about an aspiring reporter, Chae Young-Shin (Park Min Young, City Hunter), he becomes involved in a tangled web of lies he needs to deconstruct before he can find a way out. ‘Healer’ is rare for me; a fictional character I care about as much as the characters I myself write; and after I tell people to watch ‘Faith,’ when they come back for another recommendation, I usually give them Healer. But why is it so special? • Complex characters. All the characters are three-dimensional and interesting, and the relationship dynamics are some of the best I’ve ever seen. Jung Hoo is extremely complex – he has never left anyone, yet been consistently abandoned. He is mildly autistic and intensely skilled. He doesn’t understand most human emotions, but has so much love to give. Young Shin was lost as a child, abused, and adopted by a wonderful family; but she doesn’t let the scars of her past turn her bitter. These characters – I tell you. They’re my favorite. • Relationships. Young Shin, the female main character, has an incredible relationship with her father and the ex-convicts he’s helped as a lawyer. She’s constantly bickering with her boss and coworkers, all of whom are likable. Jung Hoo doesn’t ‘do’ relationships with most people, but his relationship with Min Ja, the older woman and tech genius who partners with him in the night courier business, is priceless. Jung Hoo’s relationship with Young Shin – both as Healer and as his alter-ego, Bang Soo, are incredible. Moon Ho, the second lead, is a wonderful character you feel for and root for – and the villain, his older brother Moon Sik, is sympathetic and someone you can feel for. You want to understand his motivations. • An incredible OST. The music for this drama is some of my favorite, and if you take a look at my iTunes, you’ll see the songs have been played a ridiculous number of times. • A perfect combination of elements. The AsianWiki description of this show is something like ‘young people learn what it takes to become reporters,’ and that makes me laugh. It doesn’t begin to scratch the air above the surface. This show is romantic, action-packed, funny, sad, dramatic, beautiful, sweet, and gripping. In short, it’s perfect – everything I want in a show. • If you’re looking for fashion inspiration, go no further. Just take a look at the provided wardrobes. Whether your style is preppy or cute, trendy or tomboyish, hip-hop or masculine, you’ll find all the inspiration you need. • One of the running threads of the show is a scandal between a senator running for mayor, and the sexual favors from up-and-coming actresses he was bribed with. A western television show would have taken advantage of this to drag us through seedy places, sexual scenes, and plenty of innuendo – but this show doesn’t. As my mom put it, ‘You don’t feel the slightest bit dirty after watching it’ – and you don’t. • I mentioned the romance, but I want to mention it again since it’s one of my all-time favorites. The man with a secret identity and the rising reporter. The alter-ego caught in a love triangle with his real self, fighting to protect the girl he loves without putting her in more danger. This romance flips between fluffy-sweet adorableness and gut-wrenching angst in the most perfect of ways. • I spend most of every episode either laughing or crying. This show is emotional. 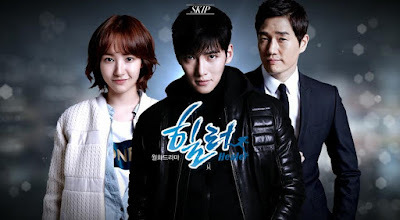 You can find Healer on DramaFever or Hulu+. If you start watching it, let me know in the comments what you think!